First Choice Locksmiths - provide reliable, professional and fast locksmithing services at competitive rates. Our locksmiths are fully qualified and are ready to take your call 24 hours a day, 7 days a week. We are your professional Residential, Commercial and Automotive locksmiths servicing all Melbourne suburbs. First Choice Locksmiths is fully insured and maintains the highest level of integrity and ethical standards as well as providing you with the best possible services, prices and efficiency in all aspects of our work. Call now for a obligation free onsite Quote. 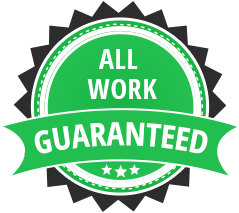 No job is to big or to small and all work is fully guaranteed. Call today for your free quote! First Choice Locksmiths have a wide range of locks to suit your commercial and high security Locks & Locksmith needs. We specialise in the implementation of major master key systems customised for all commercial sectors. First Choice Locksmiths melbourne are fully committed to the best customer service, client satisfaction and we continually strive to be the best possible Locksmiths in Melbourne. Padlocks, Hasp and staples, door blocker plates and lockable bolts. Melbourne’s Most Reliable Locksmithing Service Available. Our aim from the very beginning was to provide the highest quality of locksmithing to satisfy our customers. Our Locksmiths strive to always be prompt and provide the greatest level of customer care and courtesy. We Provide an emergency service throughout all of Melbourne. Whether you’ve locked yourself out, lost your keys or had a break-in, we can promptly help you out any time and anywhere! Stuck out of your home, car or office? The possibility is all too real – but First Choice Locksmiths being a 24-hour locksmith in Melbourne is just a phone call away to rescue you from this unfortunate situation! Getting locked out of our homes, cars or offices is something we all get to experience in our lives – some of us face such situations a little more frequently than others. Let us say you work the night shift and are about to leave the office for your home in the wee hours of the morning. Just as you sift your pockets for your car keys you discover you had left them in the ignition the entire time! If something like this happens in the wee hours of the morning, you may begin to stress out thinking about who will come to your rescue you in the early morning hours. Since we are a 24-hour locksmith, we can bring our services to you at any location in Melbourne, whenever you want, no matter how early or how late in the night it may be! Similarly, your property or vehicle’s lock may start giving you trouble at any time, especially if it is old and worn out. We all understand the acute role locks play in providing safety to you, your family and your property. It is therefore recommended that you get your locks fixed or changed as soon as you feel their condition may compromise your safety. We are extremely vigilant about your safety needs and focus our energies towards becoming a responsible and responsive locksmith for our clients in Berwick and other Melbourne suburbs. As one of the leading locksmiths serving Berwick and clients in other Melbourne suburbs, you can rely on First Choice Locksmiths to provide you effective and efficient services. We will be at your doorstep at our earliest to fix your locks or to fix you up with a new lock. If you feel your locks are all right but it is the keys that are troubling you, First Choice Locksmiths can design new keys for your existing lock. Since we are an expert locksmith, we can rekey any kind of lock our Melbourne clients may be using for their vehicles and properties. So give us a call today and we will ensure your safety by resolving your lock related concerns!